Unoma Nwankwor is a self- proclaimed romantic. She is passionate about telling stories that are uplifting and life changing sending the message of faith, hope and love. Her readers are in love with her unique way of telling stories that capture the essence of her present home base; Atlanta Georgia and her Nigerian culture. Her stories which center on forgiveness, faith and hope have been described as a fusion of faith, romance and African spice. Unoma is also the published author of An Unexpected Blessing (2013) , The Christmas Ultimatum(2013) and When You Let Go (May,2014). Elder Kim Y. Jackson, M. Divinity is a licensed Elder at Greater Bethlehem Church (Bishop Jason Nelson). An anointed writer, conference speaker, teacher, oracle and psalmist for the Lord, Elder Jackson is called to write the plans of God for His people. Her self-published non-fiction Christian books include In the Garden: A Woman's Journey Orchestrated by God for Deliverance and Spiritual Maturity, Forty Days of Grace: A Prayer Devotional and True Worship: Understanding the Command of God for a Chosen People. She has also contributed to the anthologies This Far By Faith, Have A Little Faith and Keeping the Faith. Her written works have also been featured in numerous print and online publications. Elder Kim Jackson is also the founder of the Women Writers of God’s Word Author’s Tour. Through the power of the Holy Spirit Elder Jackson imparts revelation knowledge to empower believers of Christ. As an oracle and scribe for the Lord, God has released her to effectively minister in the areas of healing and deliverance. Elder Jackson ministers at several recovery houses, transitional homes and support groups. Elder Jackson has fully accepted her calling to preach, write for the Lord, teach God's word and spread the Gospel of Jesus Christ. She stands on God's word and encourages other believers to "Write the Vision" (Habakkuk 2:2) that God has given to them. 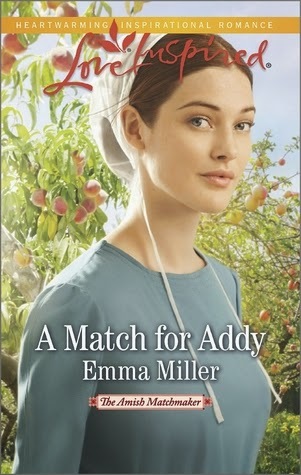 Gardening side by side with pretty, nurturing Emma is a sweet kind of torture for Ben. She could have her pick of suitors who can offer what he can’t, and he cares too much to burden her with his secret. Leaving once more is the only option. 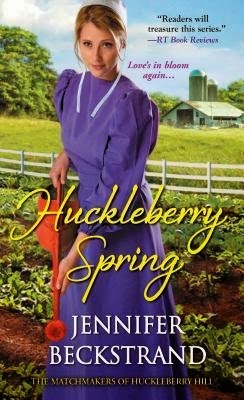 Yet Emma’s courage is daring him to accept the grace that flourishes here, and the love that has been calling him back to Huckleberry Hill. 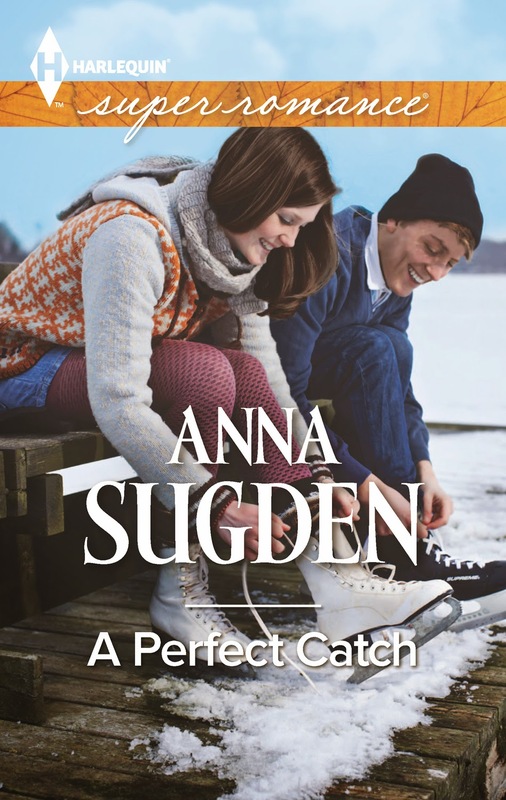 Anna and Felty are at it again; at least Anna is with her meddling in her grandchildren’s love life; think she wants to find mates for every one of them. Anna and Felty make a delightful pair, Anna’s cooking leaves a lot to be desired, she cannot cook, and Felty he loves her cooking, he cannot taste anything. They are meant for each other. This time poor Felty is in for a lot of medical procedures, and bless his heart he does as Anna asks. This time they have their Grandson Ben return from Florida, poor Felty has to have surgery, and they need his help! Ben was engaged to Emma, and broke off with her rather quickly and went to live in FL. Now Anna has recruited Emma to help her grow a prize pumpkin for one of her two-year-old grandsons. You can guess how Emma and Ben are going to be thrown together again, but how will it turn out. There are a few bombshells here, and some other Grandchildren who might find a spouse in all of this. There is also Ben’s sister Lizzie and Emma’s twin brother Mahlon, or Mailman as Lizzie calls him. Funny. There are a few very serious sides to this story, and you will love the banter here. This one will keep you page turning, and the enjoyment is on every page. I received this book through the Author and Pump Up Your Book Virtual Tours, and was not required to give a positive review. At her niece’s question, Tracy Hayden looked up from the stack of invoices she was logging into her business’s accounting system. Tracy’s sister, Maggie, had gone to the hospital early that morning, when her water had broken. The latest update from Maggie’s anxious husband, Jake, at 5:00 p.m., had been that all was progressing well, if a bit slowly. Now, at seven-thirty, ten-year-old Emily’s excitement was stretched thin by the lack of action. Jake “Bad Boy” Badoletti was a star defenseman for the local professional hockey team, the New Jersey Ice Cats. He and Maggie had gotten together after his transfer from Chicago a few years ago, when Maggie had helped him find a place to live. Though she’d been wary of falling for another pro athlete after escaping an abusive marriage to Emily’s father—an English Premier League soccer player—Jake had eventually won the hearts of both mother and daughter. As well as being an avid fan of her stepfather’s team, Emily had also become a good mites’ hockey player. Naturally. Her niece was all about action. The phone rang, startling them both. “Isn’t that supposed to be Maggie’s line?” Tracy said drily. Despite what she’d been through, Maggie had not only managed to make a fresh start in the US, but she’d also embraced marriage again. After she’d hung up, Tracy turned to Emily. “A boy,” she said smugly. The drive to the hospital passed quickly, with Emily chattering like a magpie about her new sibling. As they walked across the parking lot toward the hospital entrance, Emily squealed and darted toward a tall dark-haired man getting out of a black Mercedes SUV. Tracy’s pulse hitched at the familiar figure of Ice Cats goaltender Eisenhower “Ike” Jelinek. 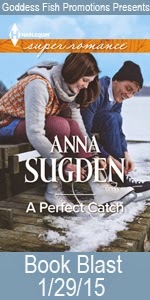 Harlequin SuperRomance author, Anna Sugden, loves reading and writing happy endings as much as hockey! When not reading or watching hockey, she loves football, good food & wine, making simple cross-stitch projects, and collecting memorabilia, penguins and fab shoes! Excerpt Their eyes met once more, and a shot of heat flooded his chest like a liquid bolt of lightening, forcing his pulse to rush. “I’ve missed you,” he blurted. Her eyes widened in response, and Braden wondered if he’d been too bold. He’d hardly meant to speak it. It’d been more of a thought. A longing, really. At last she nodded. “Yeah,” she said, her voice soft and low. “I … I’ve been wondering about you too. How you’ve been over the years. I kept asking Terrance who you were dating. If you were close to marrying anyone…” Her words drifted off for a breath, but then she spoke up again. “You admitted that you’d turned down our offers to come to dinner and catch up.” She studied him for a moment, a challenge presented in her gaze. “All those years. Why didn’t you just come?” “You know why.” He’d nearly spoken over her, but he couldn’t help it. “No, Braden, I don’t.” He nodded adamantly, taking a step back and folding his arms. “Think about it, Allie.” ... “I have thought about it –” “Not nearly enough, apparently,” he snapped. “I’ve thought about it all these years. It hurt my feelings. I thought we were friends.” ... Braden bit back his words and broke into a pace. “Braden,” she said, “I wanted you to stay a part of our lives. You were the best influence Terrance had and you just stopped being his friend? Why would you do that?” Braden froze in place. “I was a better friend to him than you’ll ever know.” Or possibly the worst, he realized. He strode back, his gaze set on her. “And I didn’t want to be your friend, Allie. I wanted more than that and you know it.” Her face fell flat. Her lips parted. But no words came. She cleared her throat, casting her eyes to the floor. “Yeah,” he said. “Don’t pretend that you don’t know. I made it clear. And as soon as I did you started setting me up with every friend you had. Including Kayla.” “That’s not…” Her face flushed red. Her lips tightened. “That’s not how it went, Braden.” The silence that followed was painful. The tension wedged in each passing second pressed at Braden’s last nerve. “Well,” he said, “this has been a nice trip down memory lane, but if you don’t mind I’ve got to get back to work. Come on out when you’re ready.” He turned away from her in one quick jerk and walked out of the kitchen, one long stride after the next. $50 Amazon Gift Card or Paypal Cash Ends 2/18/15 Open only to those who can legally enter, receive and use an Amazon.com Gift Code or Paypal Cash. Winning Entry will be verified prior to prize being awarded. No purchase necessary. You must be 18 or older to enter or have your parent enter for you. The winner will be chosen by rafflecopter and announced here as well as emailed and will have 48 hours to respond or a new winner will be chosen. This giveaway is in no way associated with Facebook, Twitter, Rafflecopter or any other entity unless otherwise specified. The number of eligible entries received determines the odds of winning. Giveaway was organized by Kathy from I Am A Reader and sponsored by the author. VOID WHERE PROHIBITED BY LAW. Travel along with some sweet young Amish women as they leave their cold winter homes in Ohio and experience Pinecraft Florida, the home to many Amish and Mennonite permanent residents. I can appreciate their happiness at experiencing Florida for the first time, and the joy they felt just being free to do what they please, within reason. Leona is engaged to be married and is enjoying this last bit of freedom. The author now gives us a glimpse into her world, and her life as it is going to be with Edmund, her intended. We also get a look how others of the same faith live under different set rules of faith for the Amish. Things are a bit more liberal, and more is accepted here. We also meet a young man Zachery who has made it his life work to take care of his family, especially his handicapped sister. Sparks seem to fly on the first encounter of this couple, can these two from two different areas, miles apart, establish any kind of a relationship? Of course, Leona needs to come to terms with the relationship she in currently in. What a predicament for both of these young people, one you admire, but feel rather sorry for, and the other almost the same, doubts need to be answered. This is a sweet and rather quick read, and I hope for more like this story in the future. I felt myself in the warm sunshine, and smelling the salt air, ah would love to be there right now. I received this book through Edelwiss and the Publisher Avon Inspired, and was not required to give a positive review. Back in Last Chance and all of our dear friends have shown up, especially Elizabeth, what a dear soul she is. We also have Steven the family bad boy, and Kaitlyn a woman I really didn’t like very much. Kaitlyn in the previous book, leaves her seven-year-old daughter with her brother, giving him guardianship, and rides off into the sunset with a boyfriend. What kind of mother does that? Now that she is back, it is going to take a lot to change my opinion of her. Also Steven, when he takes a shine to Kaitlyn, the whole town seems to be telling her that he is bad news. Maybe these two deserve each other, or not. Can people change? They can if they rely on God and not the evil one. There are some scary times ahead here, and I hoped for the best, and was surprised to see who was there to rally. There is one loved individual here, and whole town appears to come around and am really surprised at who really takes the lead here. Come back to Last Chance and live among the locals, enjoy the comrade feeling of being one of them, but you will be judged by your actions. I received this book through Revell Publishing Blogger Tour, and was not required to give a positive review. My Little Life of Jesus introduces the story of Jesus' life to 3-to 5-year-olds. It follows Jesus from His birth, being baptized by John, meeting the disciples and teaching them how to pray, telling His stories to people in nearby towns and villages, right through to His return to the heavenly Father. Illustrated throughout with adorable artwork from a popular Candle Books artist, there is also a map included to show the land where Jesus lived. This padded hardcover comes complete with a presentation page for gift or award giving. 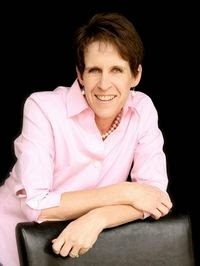 Karen Williamson worked as a London primary school teacher and publisher’s editor before launching a successful career as full-time writer. With three children of her own, she specializes in Bible stories for young readers.|As a child, Marie continually drew characters and illustrated fun books for friends and family. After studying graphic design and illustration at college she has worked on stationery, puzzles, greetings-cards, maps and posters as well as numerous children's books. Amanda Enright is a freelance artist specialising in children's illustration. She is represented by Advocate-Art. 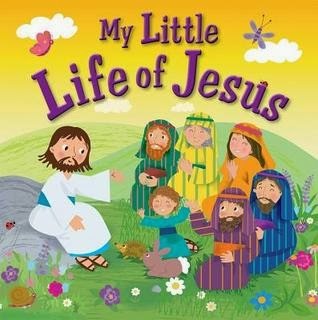 The little book My Little Life of Jesus is perfect for your toddler’s hands, it measures a little over 6” all around. It is beautifully illustrated with bright colors that draw the little ones in. Keep in mind that this is just a book to introduce Jesus to our little ones; it is simplistic and quickly gets to the point. I found the The Very First Christmas, a wonderful way to teach our three year old about the meaning of Christmas, in a way that he could understand. We then meet Jesus With His Family, now when he hears that Jesus was a carpenter, he has the being of the idea. He loved as I explained the map of where Jesus grew up. Kept his interest, and gave his little mind a look at his faith. The book goes on and became a real joy to share with each other, a great beginning learning tool. I highly recommend this wonderful little book, and so glad we have thin in our home. I received this book through Kregel Blog Tours, and was not required to give a positive review. 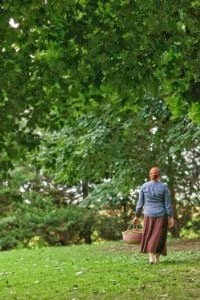 THE AMISH MATCHMAKER: Bringing love to Seven Poplars—one couple at a time! I found this story delightful, so realistic and a real page-turner. Welcome to Amish country and we meet an Amish Professional Matchmaker. Never knew they had anyone with that job, but makes perfect sense with some of the problems that are present in the children. When Dorcus takes a job with Sara she is just taking a job, though she knows what Sara does. 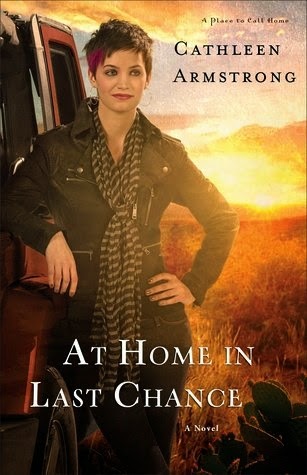 She meets the current people who are residing at Sara’s and one catches her eye, Gideon, but he is just a hired man. I kind of shuttered when Dorcus, now know as Addy, compliments of Gideon, comes across as looking for a man with money and land. Gideon will never due, he will always be a hired man, and she has to take care of her parents. Come and really meet Addy, now almost 30 years old, and really starting to bloom. Meet her over bearing parents; at least I felt they were. Go to singings and gatherings, and even the fair, and live a little dangerously. Gideon is just following his parent’s wishes and has no desire to find a wife; he is just having a rather good time. Loved his bantering or could be arguing with Addy, they will really make you smile, and laugh. Picture Addy as she has an accident, sad yes, and she could have gotten hurt, but still funny! 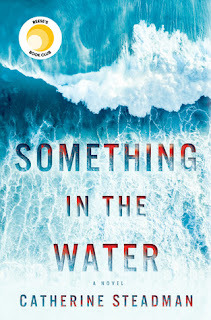 Emma Miller has done it again, and I loved this book, and want more! I can see the potential for lots of great stories using a Matchmaker, such a wonderful idea! !